China Tungsten carbide nozzle, Tungsten carbide nozzle - Ningbo Langsun Tungsten Carbide Co., Ltd.
We are a professional tungsten nozzle manufacturer which can produce many different kinds of nozzles, such as spray nozzles, oil nozzles, blasting nozzles and so on. With high speed to wash, well wear resistance, excellent corrosion resistance, tungsten carbide nozzles often be used in agricultural irrigation and urban greening. Used in geological prospecting, machinery tool manufacturing and serves as drill bit in wind drill and electric drills for coal digging Fit for precision lathe are used in nonstop cutting of die-cast iron. 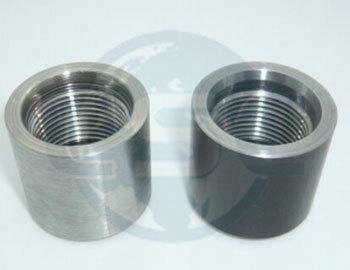 Tungsten carbide shaft sleeve nozzle is one of the most important tungsten carbide productsin China. Carbide Nozzle Bit is difficult to make them very perfectly. 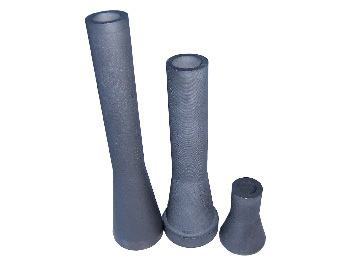 The biggest problem in processing is to control the temperature during sintering. The reason is if the temperature is not appropriate, gaps would easily emerged inside of nozzles. We have spent quite a long time improving our production capacity to tungsten carbide nozzles, and now we can finish every different tungsten carbide nozzles very perfectly. Solid Tungsten Oil Nozzle/ Tungsten Carbide PDC Spray Nozzle, Tungsten carbide venturi nozzle. Sand-blasting Nozzle is for removing rust on the bottom of ship. Slurry nozzles or Mud nozzles are widely applied in oil industry, various cleaning spray of coating lines, cleaning machines, atomized spray and bath mixing equipments in the Automotive industry. It is used as types of manufacturing washing machines, Coating line in the industries of motorcycles, bicycles, refrigerators and washing machines and cleaning equipments in the machinery industry. It is also used in humidification device in the Light and textile services. 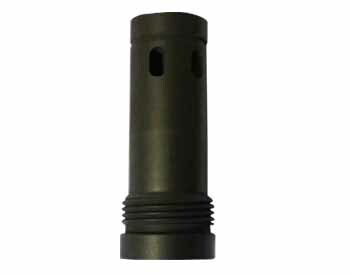 Generally carbide nozzle thread is designed on the outer diameter like PDC hexagonal, for example, right Angle of the nozzle, these tungsten nozzles are very mature products in the market now. Our company developed an internal screw thread nozzle, made from cemented carbide. Compared with many other materials, Carbide nozzles are more wear-resisting! Although the price is slightly more expensive than other materials, the working efficiency is increased rapidly. It will be a very good choice for specific working environment needed customers! 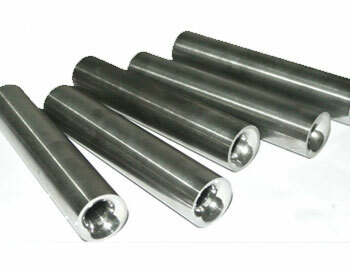 Carbide sleeves are often used in wellhead restriction to control the flow of fluids. Tungsten carbide bushing is specially for high pressure gas/oil field, which is with abrasive sand minerals passing through sleeves at very high speed. 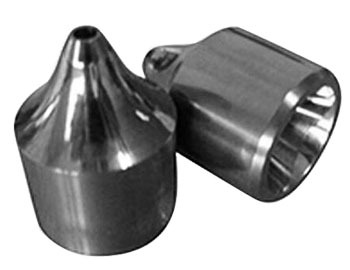 Cemented carbide nozzles are very suitable for this working environment. 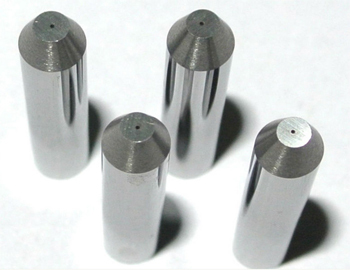 Tungsten carbide nozzles for water jet cutting machine spare parts. Excellent performance tungsten carbide sand blast nozzle with various sizes.